Six miles west of Portsoy is the town of Cullen, dramatically sited beneath a series of striking 19th-century railway viaducts and fronting an impressive sweep of sand. Walk east from Cullen harbour along the coast for a few miles to the lovely, deserted beach at Sunnyside, overlooked by the lemming-like ruin of Findlater Castle. There's another great beach at Sandend, between Portsoy and Cullen. The best places to stay in Cullen are The Seafield Arms Hotel, Tel. 840791, www.theseafieldarms.co.uk; and The Bayview Hotel, Tel. 841031, both on 57 Seafield St. There are also several B&Bs. 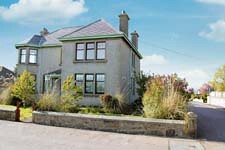 Cullen Old Chemist Shop Modern self catering apartment in Cullen on North East Coast. Ideal for visitors wanting to stay in this historic town. The local delicacy (and delicious it is, too) is Cullen Skink, a soup made with smoked haddock and cream. For food try the hotels listed above. Two good pubs for food are the Royal Oak and Cullen Bay, both on the A98 east towards Banff. Stone house located in centre of Cullen, famous for Cullen Skink. Sleeps 7 at a pinch but includes hot tub in back garden and wifi. No dogs. 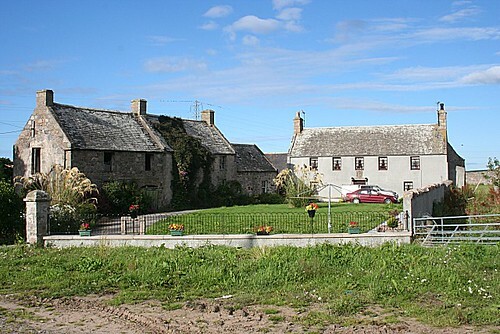 Detached cottage in village of Cullen on Moray Coast by seaside. Sleeps five people in two bedrooms. All ground floor. Two double bedrooms. Shower room with shower, basin and WC. Open plan living area with kitchen, dining area and sitting area with sofa bed.